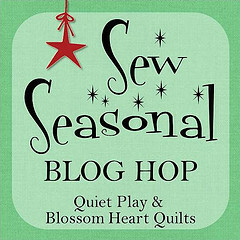 Kristy at Quiet Play and Alyce at Blossom Heart Quilts are sharing 25 (FREE!) Christmas-themed block patterns! 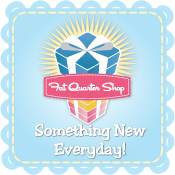 You can find the patterns in their Craftsy stores. They are free for the month of November. Paper pieced patterns are here and Ornamental patterns are here. Get them while you can and see what wonderful Christmas things you can create! Start with your piece of muslin, or any scrap fabric--you're just using it as a base and covering it with selvages so it won't show. I happen to have a whole bag full of Christmas-related selvages, but any selvages would look cute. I always try to add at least one that has the color registration dots. then just start sewing them, one at a time, close to the selvage edge, adding the next one on top, building your way up to the top until your fabric base is covered. Turn it over and trim to 4 1/2" x 8 1/2" inches. Next add your red print, one at the top and one at the bottom of your selvage piece. Draw a line diagonally from corner to corner on each of the 2 1/2" squares. Place a square piece at each corner, sew on the diagonal line, trim and press open so you have a square piece. Sew one 1 1/2" x 3 1/4" white piece on each side of the 1 1/2" x 3" gold piece. This is the top of your ornament. Sew it to the red piece. Add the 1 1/2" x 8 1/2" white piece to the bottom, and then a 1 1/2" x 10 1/2" white piece to each side. Now you are ready to add the green dots. I decided I wanted a little ornament hanger so I basted a little piece of ribbon to the gold piece before I sewed on the green dots at the top. then you can add the green dots on the top and bottom, and then on both sides. Voila! Your pillow top is complete! I wanted an exposed zipper for my pillow back. This tutorial is great! When you have sewed your zipper to the two backing pieces, trim it to 14" inches, make sure your zipper is at least halfway open, and then sew the pillow front and pillow back together. Add your 14" pillow form and enjoy your pillow! If you haven't already been to the Elven Garden yet, go check out the cute paper-pieced snowman ornament made by Jess! Here is the full list of all the bloggers taking part--lots of inspiration! Then it's your turn! 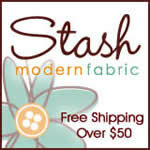 Download the patterns (they'll be free for the duration of the blog hop in our Craftsy stores!) and make one or more of the blocks to create a finished product. Anything you like, as long as it's completely, 100% finished! Then go here on November 30th to link up your finished product to win some awesome prizes! There's also a Flickr group for the blog hop, where you can share your blocks as you finish them. Show off your progress, and be in the running for a prize there too. That's 2 different ways to win prizes! Yay prizes! Awesome Launch Day giveaways - Secret Squirrels - check back November 1st for details! 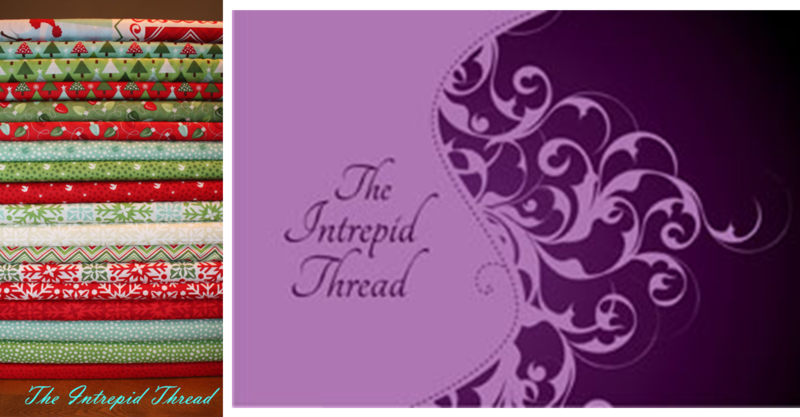 Plus, are you needing some Christmas fabric supplies for the hop? Well, Chrissy from Sew Lux Fabrics has set up a special discount code on Christmas fabrics in her shop! So if you need supplies, be sure to check it out. The code is "sewseasonal10" and is for 10% off all Christmas fabric (Joy, Blitzen, and Sentiments) through November 18th. A charm pack or layer cake will work perfectly for these patterns! Love this ornament Cindy! The selvages are a great touch. Makes for a beautiful and festive cushion! Great job Cindy! I love that you have made use of the selvedges! And the exposed zip is perfect! I love selvedges! This is a gorgeous touch! Fabulous! The selvedges look brilliant and I like the red zip too! Fabulous! I love anything selvedgy and these blocks are so cute. I downloaded those patterns! I love love this pillow...and Christmas. Thanks for sharing! Cool project, and a great way to use selvages! And you did a zipper - good for you. Okay, Cindy - that is stinkin' adorable! I actually just said out loud to anyone who would listen, "Ya gotta come see this pillow!" That's one awesome ornament!! I love the use of selvages!! Thanks for joining in! So pretty! love the pillow! Your ornament turned out just fantastic. I love it! Such a lovely pillow, what a fab idea to use the selvages, it looks great! So cute! Great idea to use the selveges! I love it! I just need more time to make some Christmas pillows, too! What a great cushion! I love your use of selvages. Love everything selvage!!! Great tuto!